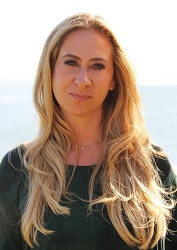 Shelly Yrigoyen is an experienced realtor skilled in the art of problem solving. Her fierce negotiating skills bring piece of mind to her clients; reinforcing that she holds their needs and interests as top priority. Shelly is meticulous, detail oriented, and embodies a work ethic of integrity. She understands the importance of privacy for her clients, and works with the utmost discretion and respect. Shelly is trustworthy, loyal, and treats clients like family. Her passion is driven by the relationships that are formed with these people, and the generous testimonies they have given. Shelly is a Malibu local embracing the small-town feel and all this community has to offer. She enjoys surfing, hiking, and giving back to the community. This drive allows her to turn years of real estate experience into successful real estate transactions. Her vast experience and tenacity gives her a leading edge. For your leasing, purchase, or listing needs, contact Shelly. –Shelly was with every step of the way.